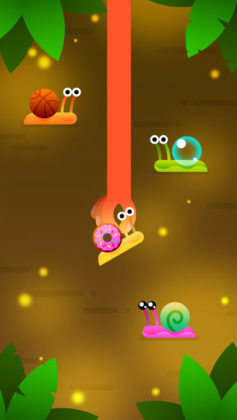 Home Android Snail Ride interview with Bloop Games! Snail Ride interview with Bloop Games! 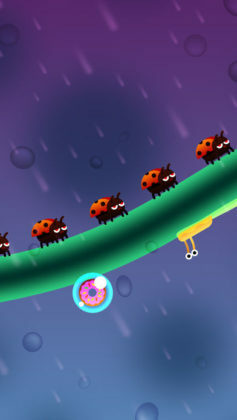 Do you remember our review of a not so sluggish game about snails? If you’re enjoying Snail Ride and would like just a little more insight as into how the game was made, here is the interview for you! If you have yet to check out our review of Snail Ride, you can do so here! Before we start we’d like to thank the Bloop Games Team for participating in our interview and for answering all of our geeky questions! Thanks Guys! Thanks for taking the time to talk to us about Snail Ride, could you kick-start this interview by telling us a little about your studio and what drew you into Game Development? We are a young studio trying to create funny quality games with plenty of cute characters and we hope to do the next Crossy Road. Our team is composed of two guys who both worked in the same game company before creating our own studio together. We focus our visuals in 2D because it’s faster to do than 3D and we believe it’s more intuitive for a global audience. First question. What was the core idea (or inspiration) that sparked the development of Snail Ride? When we start a project, we try to focus on one core idea from games we love. 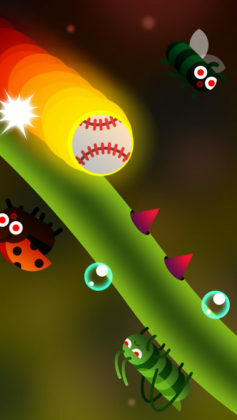 The beginning of Snail Ride started with the core gameplay from Timberman with a twist: we wanted to make an auto-runner game with a simple one-tap mechanic. 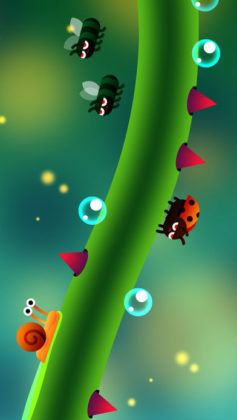 Quickly, the idea of a macro world with a snail and other insects appeared. For our nerdy Developer Fans, what programming language and or software did you use when developing Snail Ride? And was it a good decision? We use Unity for the programming part and Photoshop for the drawing part. Unity is clearly a big winner for developing our games. Thanks to this powerful engine, we can prototype and iterate very fast. 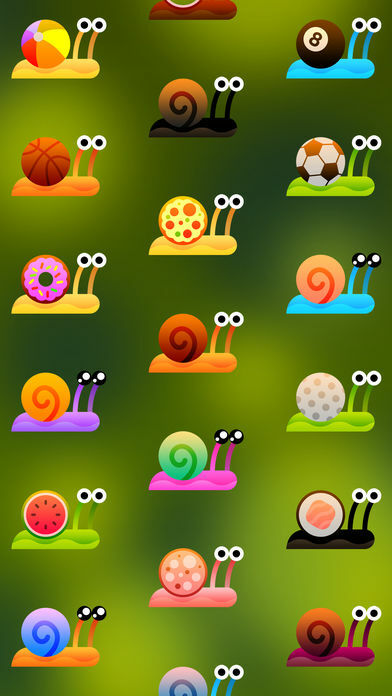 Can our Android fans expect to see an Android version of Snail Ride anytime soon? The Android version has just been released! Here is a link. What advice would you give to a new player trying Snail Ride for the first time? Don’t be afraid the first time you encounter the Grasshopper, it’s tricky, but your brain will quickly understand how it works! Where do you get your inspiration or ideas from? We play a lot of mobile games, especially those featured on the App Store. We note ideas, gameplay mechanics and we try to do our best with all this in mind. A few words to Snail Ride fans on Edamame Reviews. Any new games in the near future? What can we look forward to next? Here is a little hint about our next game: it will be in the same vibe as our first game “Fish & Trip” but not with fish this time. Try to guess what it is! This is the first interview for us, so thank you very much for your interest and the exposure of Snail Ride. We really hope that you and your fans enjoy playing our little games as much as we do. Love our interview with Bloop Games?